Bintulu Customer Service Counter now at Bintulu Town Square. 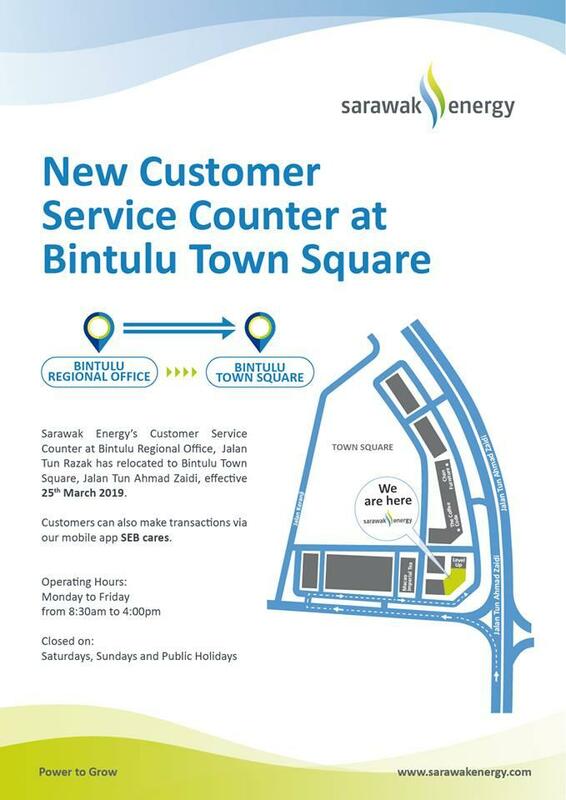 Sarawak Energy's customer service counter at our Bintulu Regional Office has relocated to Bintulu Town Square on Jalan Tun Ahmad Zaidi and will open for service on Monday, 25 March 2019. Customers can also make transactions via our mobile app SEB cares. Monday to Friday from 8.30am to 4pm. For enquiries, please contact our Customer Care Centre at 1300 88 3111.